Kylie Verzosa, reigning winner of Miss International and Natsuki Tsutsui, Miss Japan International 2017 are now in Tokushima prefecture, almost 600 km away from Tokyo. 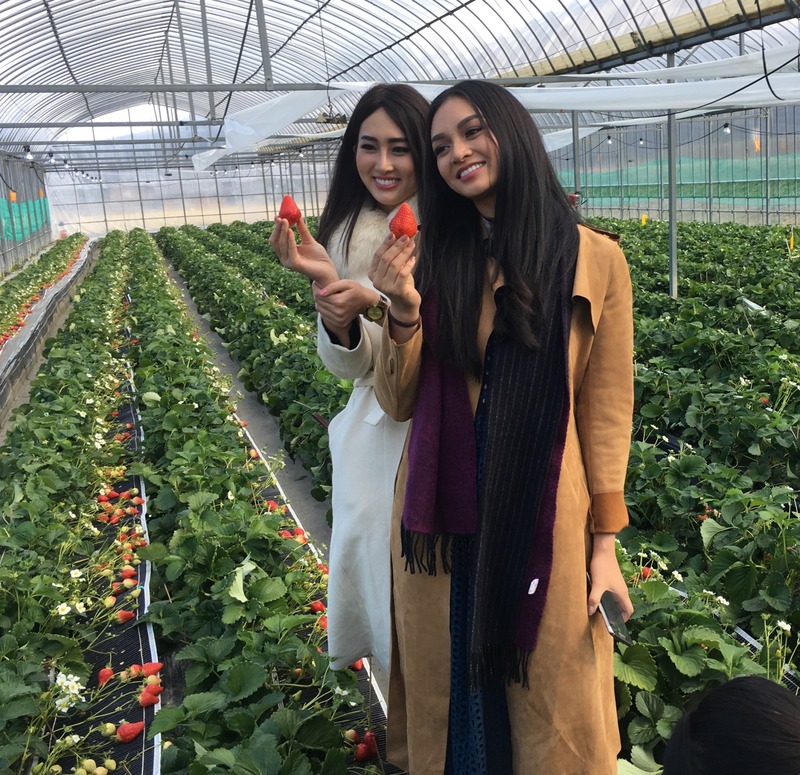 On the first day of their stay they enjoyed picking Strawberry of Tokushima speciality, and in the afternoon, met with school students in Tokushima Commercial high school, who’s working on outstanding school project aiming to launch international business between Cambodia and Japan. Kylie and Natsuki learned how to make sweets in Japanese traditional style, or with Cambodian ingredients.